Purpose: The aim of this paper is to highlight the significance of housing as a strategic tool in addressing the multifaceted nature of urban poverty. 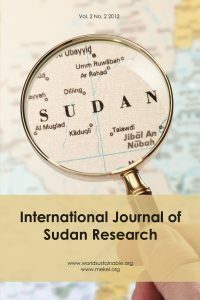 Value: Bridging the gap between housing and strategies for urban poverty reduction, the paper is a contribution towards rethinking housing policy in Sudan. Tasneem Nagi is a MSc student at the Development Planning Unit, University College London. Budoor Bukhari is an urban designer and development planning researcher, currently working as Urban Designer with CH2M.